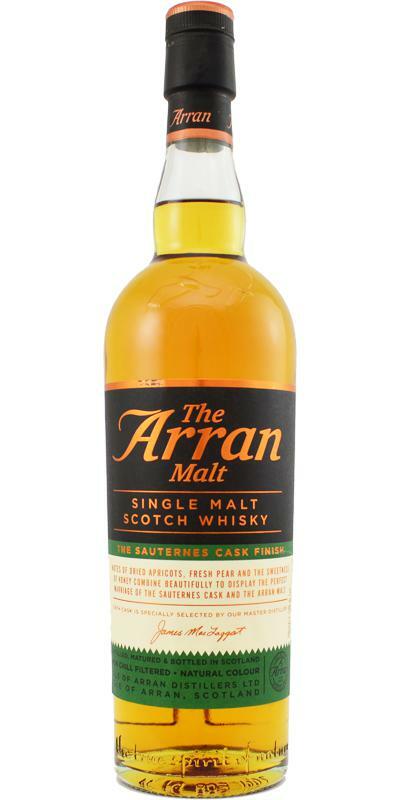 Here’s the first whisky in the lineup for the Third Arran Tweet Tasting April 2015 – the Sauternes finish. Nose: Glacé cherries, salty caramel wafers and cream. Sweet meadowy notes – grass, flowers and pollen. Bit of a meaty, sulphurous note in there too. Spicy gingerbread. Wet raspberries and melon rind. A bit musty too. Anti perspirant, but in a good way. Palate: Cold black coffee and chocolate. Orange hard boiled sweets. Lovely luscious oily mouthfeel on this. Golden delicious apples, grapes, and sultanas. Finish: Dry tobacco, leaf litter and slightly ashy. I don’t know if there’s such a thing as a Summer whisky but this is definitely it! Sweet, floral, luscious and mouthwatering. A perfect dram to enjoy in the recent bout of sunshine we’ve had in the UK.